What to Know About the Types of Cushion Covers Fabrics? Nowadays, there is a wide variety of different types of fabrics available in the market and many of these fabrics are usually used in manufacturing the cushion covers – one of the important homeware items without which the home décor looks incomplete. Cushions are used anywhere in the home whether it is a bedroom, lounge, dining room or outside in the garden. 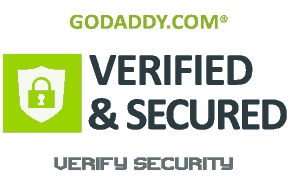 They easily fit into any place in the home such as a bed, sofa, and chair or window seat. 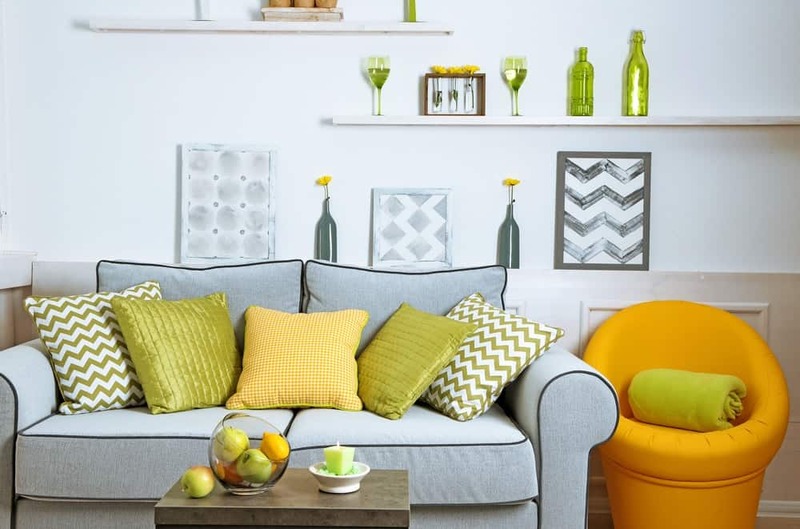 The coverings of cushions play a significant role in the home décor because they affect the overall appearance or decoration of the room where they are placed. The cushion coverings that are not only fit the space but also fulfill the need, are the best to have in the home. So, it is really important to have complete knowledge about the different fabrics with which the cushion covers are manufactured so that it can be easily decided which type of fabric suits best according to the need of the buyer. The fabric of the cushion cover should be in accordance with the place in the home where the cushion needs to be placed either it is inside or outside the home. For example, the cushions used in the bedroom should not be as hard covering as those used in the lounge or garden bench. Likewise, the cushions placed on the unused chair shouldn’t be as durable as those placed on the main family sofa. Cotton and linen are one of the most commonly used fabrics in the manufacture of cushion coverings and they both are washable and hard wearing. These are natural fibers and so they are the right choices for people who have sensitive skin. As they are natural fibers, they have a cool touch and are the best choices for summer. Sometimes, linen can crease or wrinkle, so linen cushion covers shouldn’t be used for the main sofa or any chair that is frequently used by the family. Both these fabrics can be used outdoors when they are not exposed to the other elements, however, these can be affected by color fading or sun bleaching if they are kept outside too long under the direct sunlight. 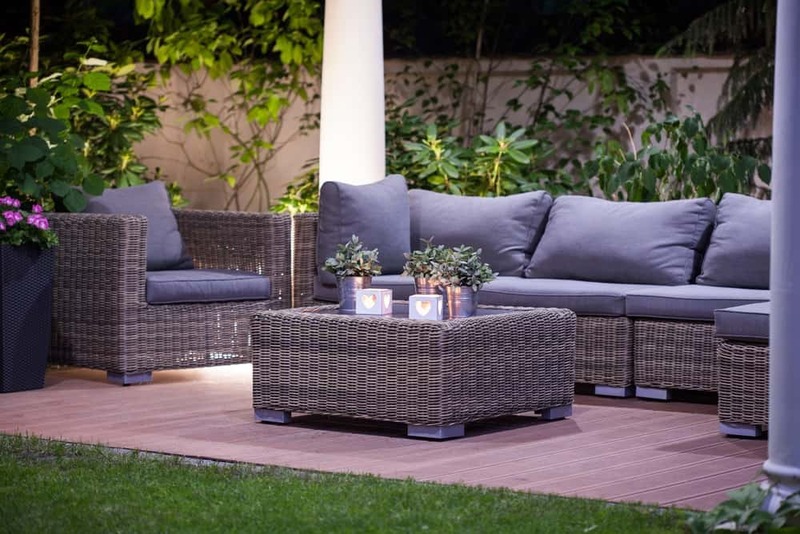 For the extremely best choice of a fabric to use for outdoor furniture, is the canvas, because it is a very strong cotton fabric that is weather-resistant and hard wearing. Another quality of canvas fabric is that it is waterproof; therefore it is an excellent option for unpleasant weather conditions such as cold, and snowy, icy, freezing, wet etc. This fabric is available in varieties of different amazing colors to enhance the look and feel of home décor. When the cushions are used for the purpose of decoration in the bedrooms or hallways, silk or wool is the best fabric options. Silk is usually considered one of the most luxurious fabrics and so it is expensive and requires the best care to be used for a lifetime. Wool, on the other hand, is made from animal hair such as sheep or goat and the hair is spun into the yarn that yields a very strong and soft fabric. Wool can also be costly. The fabrics, silk, and wool are tactile and versatile and require very special care and cleaning, especially when these are used by children or pets. 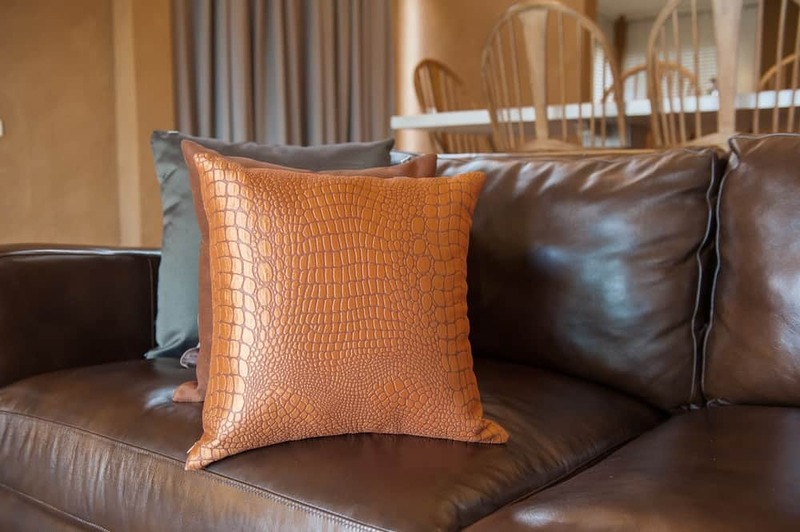 The leather is the type of fabric that is usually overlooked when it comes to the use of cushion coverings. The leather is very strong hard wearing and so it can be a good choice for the areas that are used very frequently. It is the fabric that becomes user-friendly as its texture matures with the passage of time. Leather also requires cleaning and care and sometimes, it cannot be used for certain areas. There is a synthetic fabric, named vinyl that is made by imitating leather, so cushion covers made from it can be used. However, vinyl is not durable and needs special cleaning. Polyester and nylon are synthetic fabrics (man-made materials) used to manufacture cushion covers and there are other various types of synthetic fabrics that can be used anywhere in the home. The synthetic materials are made by combining various fibers and these materials can also imitate other fabrics such as silk, wool or leather. Synthetic materials are durable, hard wearing and washable and so they can be used in those areas of the home that are used very frequently such as lounge, dining room or kitchen. A synthetic fabric can be anything from the basic cotton/polyester to corduroy and so the buyer must check the colorfastness and durability of the fabric on the instructions of the manufacturer; this is due to the reason that most synthetic fabrics are much hard wearing than others. While choosing the cushion covers, first of all, think about their use in the home. Secondly, look for the versatility and durability of the fabric when the cushion needs to be placed in the family areas. Thirdly, opt for the embellished, decorative and finer fabric cushion covers when they are used in the areas where they enhance the beauty of home décor without being used too much. “Amsons Design” is an online homeware store that offers the best range of cushion covers available in varieties of designs, prints, fabrics, and sizes. Our range of cushion covers includes delicate decorative cushion covers, embellished cushion covers, striped cushion covers and printed cushion covers. These homeware products will give a new, fresh and charming look to the home décor. These cushion coverings are available individually or in combination with bedding set. Buy cushion covers online from our website and choose the best product from our large collection of beautiful and quality cushion coverings.